Art Jewelry Forum is pleased to introduce this new article series. The success of this compilation of interesting events, exhibitions, and items of interest to the jewelry community depends on YOUR participation. Providing a place for supporters to share what’s important to them is one way AJF is celebrating our 20th anniversary year. We believe our donors, as dedicated jewelry aficionados, have a unique outlook on the world. If you’re a donor to AJF, you can add news and ideas to the monthly report by going to artjewelryforum.org/news. If you aren't a donor, but would like to be, go to artjewelryforum.org/donate. We’d love for you to be a part of our community! Congratulations to Caroline Broadhead, program leader for the jewelry and textiles departments at UAL: Central Saint Martins in the UK, who received a lifetime achievement award from The Goldsmiths Craft & Design Council on March 1, 2017. The award is given as recognition of a recipient’s outstanding contribution and commitment to the craft and industry of silversmithing, jewelry, and the allied crafts. Since September 2016, Jantje Fleischhut has been the new professor of jewelry design at PBSA - Hochschule Düsseldorf (University of Applied Sciences). She was appointed as the successor to Professor Elisabeth Holder. Together with Professor Herman Hermsen, Fleischhut is responsible for the Applied Art and Design department, which includes serial as well as unique jewelry and product design. Fleischhut was born in Germany in 1972. 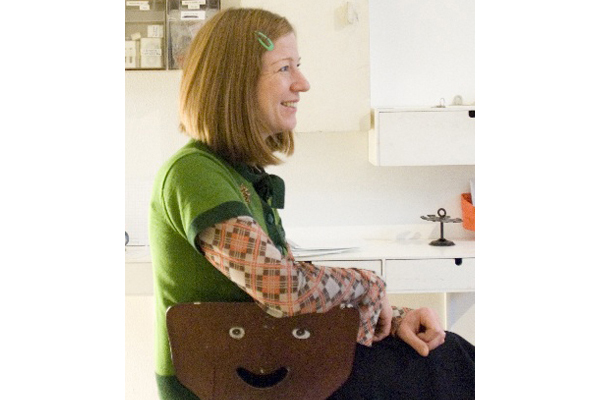 In Germany, she followed technical goldsmith training and gained working experience in a product design studio. In 1997, she moved to Amsterdam, where she studied jewelry design and applied arts, receiving a BA from Rietveld Academy and an MA from Sandberg Institute. She lives and works as an independent jewelry artist in Amsterdam and Düsseldorf. The Seventh Annual Gold Conference is happening Wednesday, April 26 – Friday, April 28, 2017 in New York, New York, USA. Through panels, talks and discussion, you can explore craft, artistry and manufacture of gold jewelry; training the next generation of jewelers; current trends in retail including the use of narrative to motivate consumers; strategies for ensuring the future of multigenerational businesses; legislative and regulatory guidelines impacting the jewelry market; ethical sourcing and responsible practice, both social and environmental. A student rate is available. AJF members will receive an email with a discount code for a special rate. The publication Barbara Cartlidge and Electrum Gallery: A Passion for Jewellery, from Arnoldsche Art Publishers, documents for the first time the extraordinary life of Barbara Cartlidge (born in 1922 in Berlin), who fled Germany in 1938. Her creative talents, entrepreneurial spirit, and political activism are illustrated through her early years in London from the 1940s to the 1970s. In the late 1960s, Barbara's involvement with Pace Gallery brought about a meeting with Ralph Turner, and they collaborated to create Electrum Gallery in 1971—the first gallery for exhibiting exclusively contemporary artist jewelry. The story of Barbara’s involvement in Electrum Gallery, until her retirement in 2007, is told through the words and images of 70 internationally renowned artist jewelers who describe this strong, determined woman and the significance of the gallery for the wider world of contemporary jewelry. Electrum Gallery represented many hundreds of jewelers from around the world and made London an international platform for contemporary artist jewelry. Janis Kerman celebrates 45 years creating contemporary jewelry with a retrospective exhibition entitled Reminiscence at The Guild in Montreal, Canada. The show opens April 27 and runs through May 28, 2017. This venue is particularly meaningful as it is where Janis had her first solo show 40 years ago. To complement the exhibition, Noel Guyomarc'h of Galerie Noel Guyomarc'h has written a book titled Reminiscence: A 45-Year Journey in the World of Contemporary Jewelry. This book covers Janis's early exploratory work, her collaborations with Nicole Lachapelle (under the name Kerman Lachapelle), and her partnership with daughter Erin Wahed as Bande des Quatres. The hardcover book has text illustrated with sketches and photos from this long career. Please contact Noel Guyomarc'h directly to order your copy. 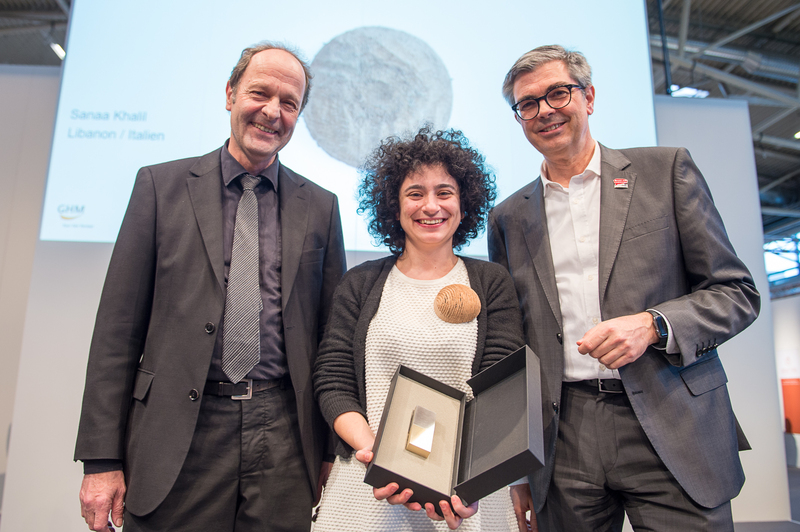 Congratulations to Florian Weichsberger, Volker Atrops, and Sanaa Khalil, who are the winners of the 2017 Herbert Hofmann Awards. The awards honor outstanding contributions to the special exhibition SCHMUCK, which takes place annually as part of the Internationale Handwerksmesse on the Fairground Messe München. The curator of SCHMUCK, Cornelie Holzach, will be interviewed on AJF to share her perspective of the exhibition. The jury for the Herbert Hofmann Award was made up of Professor Otto Künzli, Dr. Gert Bruckner, Dr. Monica Gaspar, Professor Dr. Marjan Unger, and Dr. Cornelie Holzach. The Herbert Hofmann Awards are presented annually. Cristina Filipe has been awarded the inaugural Susan Beech Mid-Career Artist Grant. She will use the funds to complete a book on the history of art jewelry in her home country of Portugal. AJF is pleased to provide opportunities for funding like the Susan Beech Mid-Career Artist Grant so that artists can pursue their dreams, with the money to do so. Barbara Cartlidge (1922–2017), as she is known today, was born Emma Feistmann in Berlin in 1922. Her life story is extraordinary, beginning in pre-war Berlin, then a truly miraculous escape from Germany, and the events that eventually led her to London, where her creative talents and entrepreneurial spirit came to fruition. It was not until the recent publication of Barbara Cartlidge and Electrum Gallery that archive material revealed amazing details about her personal life, political activism, and the beginnings of her creativity. Cartlidge studied at London’s School of Arts and Crafts (today Central Saint Martins) and in 1960 had her first solo exhibition. Her avant-garde jewelry designs of the 1960s and 1970s attracted the attention of fashion magazines such as Vogue and Harper’s Bazaar. In 1971, Cartlidge founded Electrum Gallery, making London an international platform for contemporary jewelry. The success of its existence over 36 years, until her retirement in 2007, was only possible through Barbara’s vision, tenacity, and dedication. Over the years, the gallery featured more than 190 exhibitions and represented nearly 1,000 international jewelers, established talents as well as emerging ones. It was through her that the careers of many artist jewelers were launched. She made a vital contribution to the understanding of “New Jewellery” in an exciting period of its development. The National Endowment for the Arts (NEA) is the major funding organization for the arts in the United States. It has recently published a response to the American president's proposed 2018 budget that eliminates the NEA. This is an important piece of arts-related news that won't affect Art Jewelry Forum directly—our organization is completely funded by individual donations—but will affect the arts community at large. In 2014, emiko oye designed the playful colored LEGO pin for AJF donors, to be put together by the user following his/her own taste and creativity. In 2016, oye’s Maharajah’s 6th, a LEGO necklace from the series My First Royal Jewels, made between 2007 and 2009, and her 2010 bracelet Aegean 1 x 4, were exhibited as part of the Beyond Bling: Jewelry from the Lois Boardman Collection exhibition at the Los Angeles County Museum of Art. In honor of International Women’s Day, Cathleen McCarthy gathered together her long-running series “Women Who Paved the Way” on her blog, The Jewelry Loupe—A Celebration of Human Ornament, so you can scan the pivotal periods in which female jewelers emerged from the shadows to shape jewelry design and the jewelry industry as we know it. Susan Cummins’s house was designed to have a jewelry exhibit right inside the front door. So in interviewing the architects of the house, Capture Magazine focused on the collection of art jewelry that the house was designed to hold. Having such a beautiful article in a magazine that doesn’t typically feature art jewelry is a win for the art jewelry community. Maybe it will inspire other publications to do the same, and at the very least it will introduce people to the concept of art jewelry—hopefully. Gijs Bakker celebrates his 75th birthday and his 50-year career with an exhibition, Black to White, featuring some new and some older jewelry. It even gets a mention in the New York Times. The exhibition started in Amsterdam, where it was presented at Galerie Borzo for one week. From March 9 to April 29, the exhibition is at Galerie Caroline van Hoek in Brussels. It is the first time in five years that Bakker has exhibited new work. The title of the exhibition refers to the Black to White necklace on which are arranged photos of the faces of 15 bold/bald men in art and politics, from David Bowie at his palest to jazz musician Miles Davis. It shows that Bakker likes to challenge both wearer and viewer, as he has been doing since 1967, forcing them to take a stand. Other new work, such as the 3 Point 7 necklace and the Self Portrait group of three golden brooches chased in gold, show his indebtedness to jewelry and its origins.